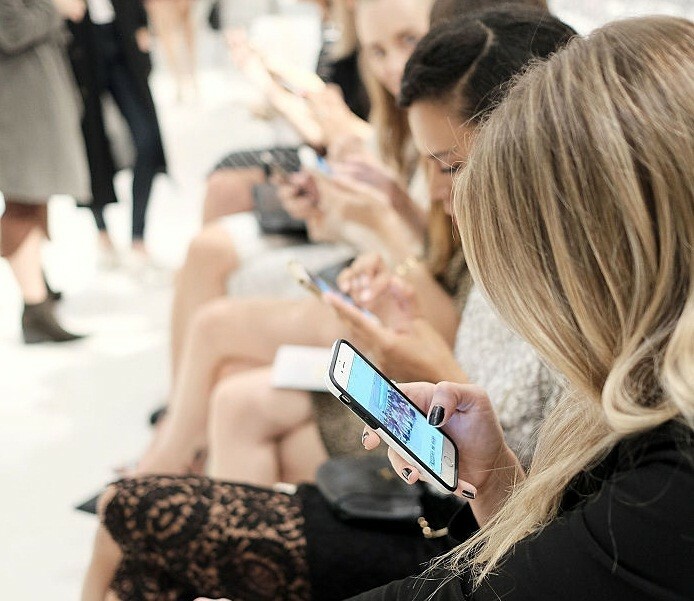 How many fashion bloggers did you have to follow on Instagram today in order to win an iPhone 7 or a Kylie Jenner Lipstick? If you love giveaways over social media, you probably know about the new method of some Latin American bloggers to promote their pages doing contests. Years ago, bloggers used to take money out of their pockets, buy any trendy item and give it away. Days later, you could see an image of the winner with the prize. Nowadays, what seems to be a harmless way to thank followers for their loyalty, is actually a well elaborated trick to make profit and get more followers using popular items - not to mention we don't see those winners’ pictures. The new suspicious giveaway method consists in following each person who posted the picture, like each picture, comment and tell friends to do the same - confused? Keep reading! This is getting more interesting. We contacted a fashion blogger that in anonymity agreed to give us some details about these giveaways chains. "There is a master mind behind each contest; this person sends an email to a group of influencers all around Latin America," says the blogger who participated only once. "In the email, the person asks you if you are interested in being part of an 'International Giveaway.' Depending on the items, they tell you how much you need to pay via Paypal. It can be US$30.00, US$75.00, US$150, or even more." Usually, around 20 individual bloggers are involved in these chains -let’s do the math! Shall we? In the image below we have an example of one of the previously mentioned giveaways. Three different eye shadow palettes of Too Faced valued at US$49.00 each; then we see four Kylie Jenner Lip Kits that cost US$29.00 each, and our grand total is US$263.00. If each blogger paid US$30.00 it sums US$600.00; which is double amount of the prize, so we wonder why they didn't split the total amount in equal parts, or why they simply didn't use their influencer super power and tried to collaborate with the participant brands. Our anonymous fashion blogger probably has an answer for that! 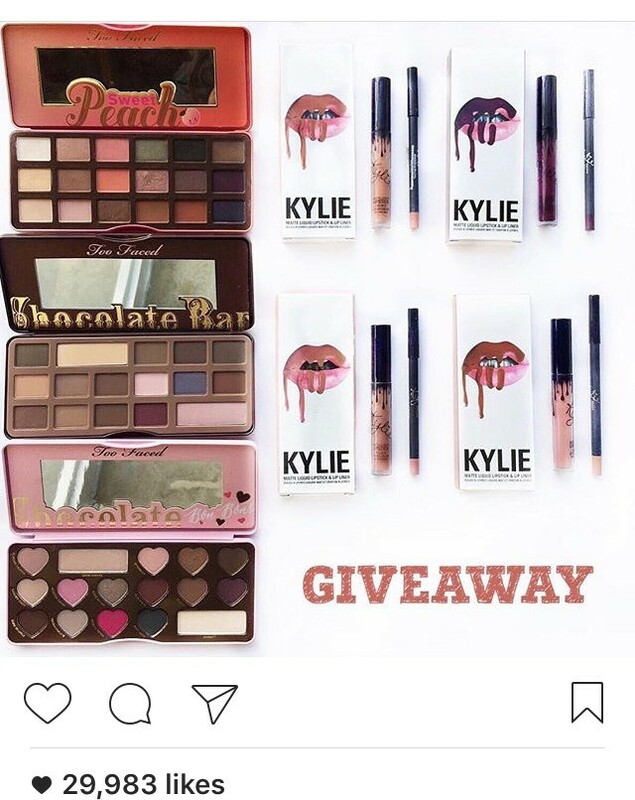 "I had to start rejecting giveaways offers because one time, a fake Kylie Jenner lipstick was part of the prize and I don't support counterfeit," says the fashion blogger. 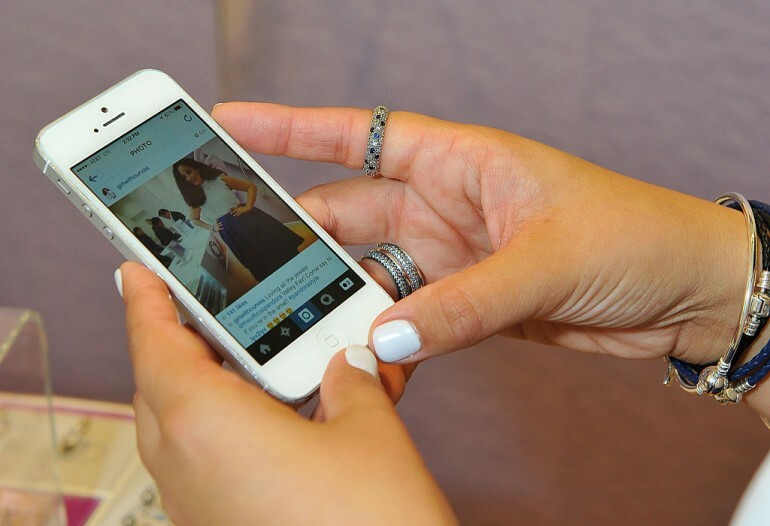 "There's so many bloggers out there, that big brands are more picky and don't want to collaborate with everybody. That's why bloggers are looking at other ways to make their profits and keep their lifestyle. They'll do whatever it takes to have a presence in the industry, and passing along their own followers is one of those things." Our blogger also confirmed she never knew about the person who won the prize or if this person received it, because like she said, followers is all what matters. A lot of followers means a lot of presence and the opportunity of having a blue tick or check mark because if you don't make your profile official you will never be "officially famous." When the whole blogger movement started, it was intended to give a real and objective opinion about trends and beauty products. Inspiring people to use garments in creative ways was a thing, and replying to questions about anything fashion/beauty related was like having your own column in a prestigious magazine; unfortunately today, blogging is not an enrichment experience anymore. Bloggers are more interested in being personal brands than to really educate about the industry like years ago. They hire agents, publicists and a whole social media team to do basic things for them -they went from bloggers to blah-ggers! Actually, a good idea is start using terms like “fashion intagrammers” instead of fashion bloggers.